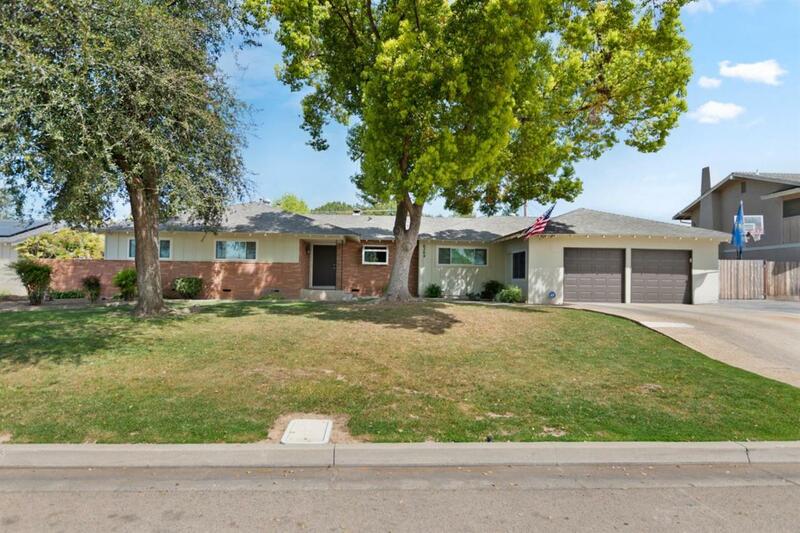 Here's a ranch style 4/3 in an established Sunnyside neighborhood! On an approximate 1/3 acre lot on a tree lined street, this one will not last! At drive-up, you'll notice the home sits a little higher than the street, and that there's a big front lawn with mature and shady trees. At entry, you'll find the wood laminate flooring, that extends into the living room, kitchen, family room, and hallway. Kitchen has been upgraded with granite countertops and breakfast bar, subway tiled backsplash, and stainless steel appliances. Fireplaces in living room and family room, and both have sliders to the backyard. On the east wing of home, there's an isolated bedroom and bathroom, perfect for in-law's or a teen. Three bedrooms on the west wing, including the master bedroom with ample closet space, and a private bathroom and vanity area. There is a large backyard, including a covered patio! Side yards are also big, with one side concreted, suitable for toys like quads or a small trailer! Hurry!